If an aircraft decompresses at altitude will everyone start farting? From what I understand about how gases and liquids work, if the environment loses pressure, then it causes dissolved gases to come out of solution. For example, if a diver ascends too quickly, dissolved nitrogen will come out of solution causing the "bends". I have heard that astronauts undergoing decompression training experience gastrointestinal distress from the effect. Does this mean that if an aircraft at altitude suddenly decompresses that everybody will start farting? In the case of a rapid decompression, an aircraft will make a very rapid descent to a altitude, and while I'm not a physician or an expert on these physiological and biochemical processes, I doubt very much that would be enough time for dissolved gases to be released into the digestive tracts. Even if it were, a person who experiences a sudden accumulation of gas in the gastrointestinal tract may experience discomfort or even pain, but it takes a while for gas to make its way to an exit - as anyone who has suffered from trapped wind will know. Not the answer you're looking for? 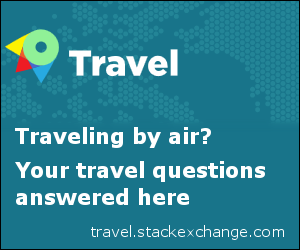 Browse other questions tagged cabin-pressure or ask your own question. How is the cabin pressure maintained inside aircraft? Can an aircraft re-pressurize at high altitude? What's the relation between cabin pressure and altitude? Why do some commercial flights start off unpressurized? Can you get sucked out of a hole in an aircraft? How do wide-bodied commercial aircraft achieve pressure equivalent to 6000 feet altitude? At which point does an airliner start to pressurize/depressurize the cabin? Is if safe/legal for an aircraft to return to cruising altitude after passenger oxygen masks have been deployed? Is it true that a soda can or a bag of chips will pop in a plane at high altitude?